"To a man with a hammer, everything looks like a nail. "Even though I had written many posts explaining the use of gdb for various MySQL-related tasks, I have to use other OS level troubleshooting tools from time to time. Moreover, as MySQL and MariaDB are still supported and used under Microsoft Windows in production by customers I have to serve them there, and use Windows-specific tools sometimes. So, I decided to start a series of posts (that I promised to my great colleague Vladislav Vaintroub (a.k.a Wlad) who helped me a lot over years and actually switched my attention from Performance Schema towards debuggers) about different Windows tools for MySQL DBAs (and support engineers). In this blog post, we’ll look at how to run Percona XtraDB Cluster on Windows using Docker. This is a follow-up to my previous post on Percona XtraBackup on Windows. The fact is that with Docker you can now run a variety of software applications on Windows that previously were available only for Linux platforms. 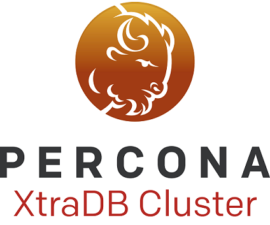 We can run (to evaluate and for testing purposes) several nodes of Percona XtraDB Cluster on a single Windows box. Setup Docker on the Windows box. When I wrote this blog about “bash on Windows” a few days ago I omitted one issue, that I already knew about. This is because it needs some elaboration that did not ‘fit in’ the previous blog. So I will do it here.